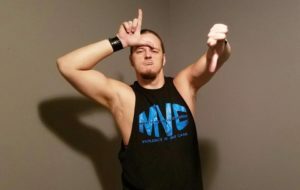 The Sinister South-Paw has been fighting his whole life and pro wrestling just seemed like the best option for this 6’4 monster. He’s size and strength are obviously assets inside the squared circle but the quality that has meant the most to his success is his undeniable mean streak. As the leader of the Miracle Violence Corporation with partner Vic Vicious tag team gold always follows.